I’m usually pretty motivated when I’m in the kitchen but yesterday I just wasn’t motivated at all. 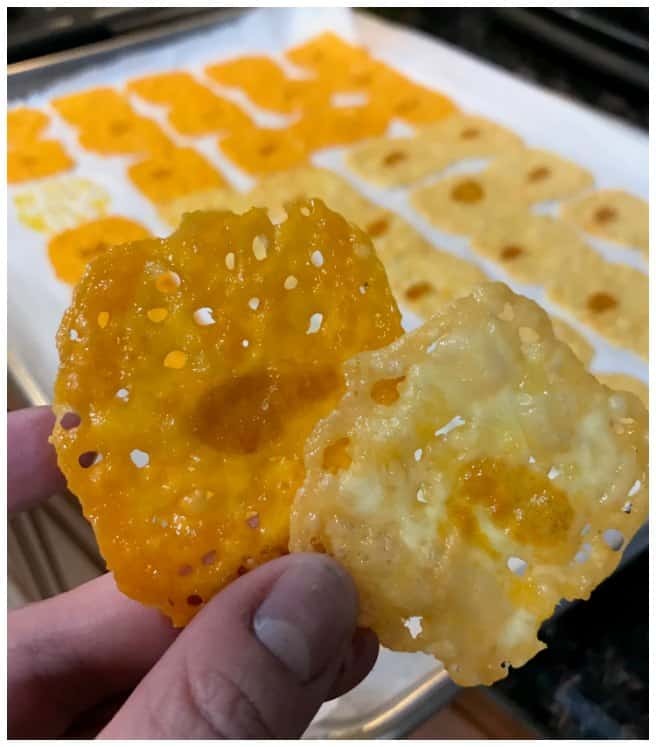 I ended up making these Lazy Keto Chips with very little preparations and only 2 ingredients! Should I call this lazy? Or should I say easy? Let’s go with easy instead. It was family game night and I did not prepare any type of snacks. 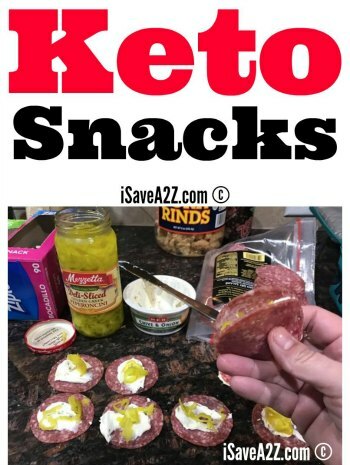 The longer I do the Ketogenic diet the less need I have for snacking. What a great feeling that is! My family wanted snacks. The fridge was almost bare. I was already past due for grocery shopping. Can you relate? I was either going to put together some sort of treat with a can of pumpkin in the pantry or make something with cheese. 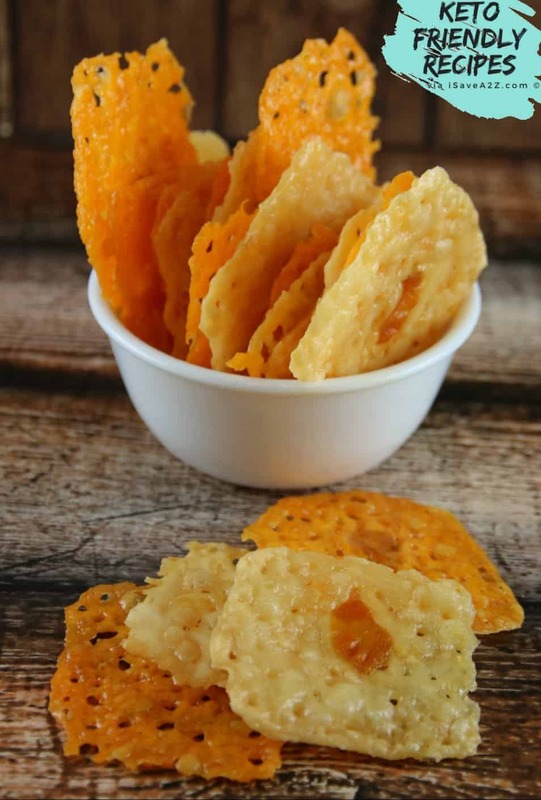 By the way, this was nothing like our popular Low Carb Cheese Crackers recipe. It was less work but I do enjoy those crackers! I pulled out a pack of cheese that I purchased from Costco. I am in love with the cheese selections at Costco. It’s my favorite place to shop. 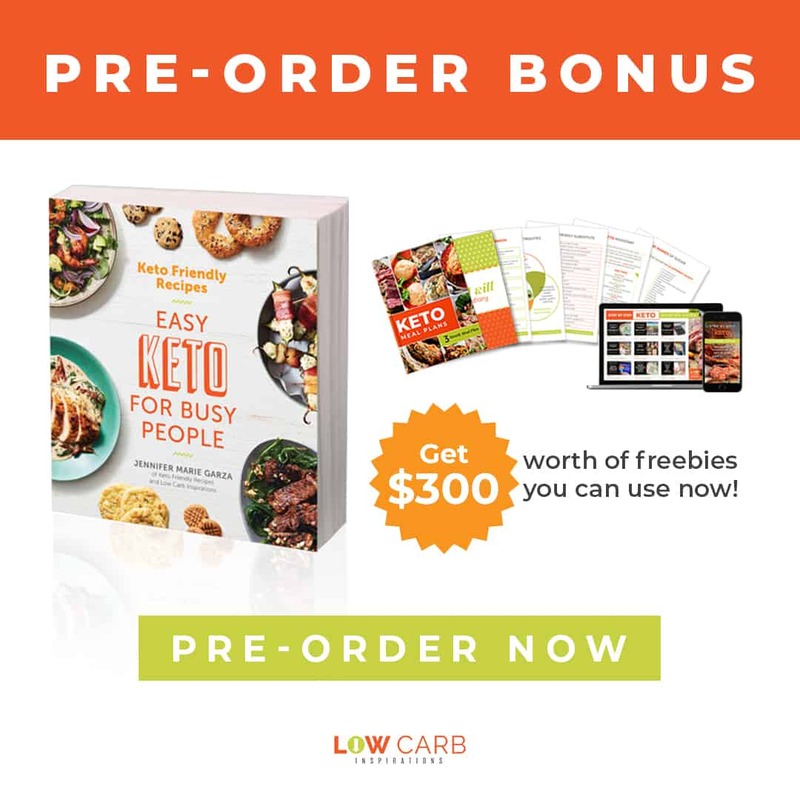 We created this handy, dandy Costco Keto Printable Shopping List just for you too. If you already shop there, you will find this package of cheese familiar. The nutritional information will depend on the type of cheese you use. 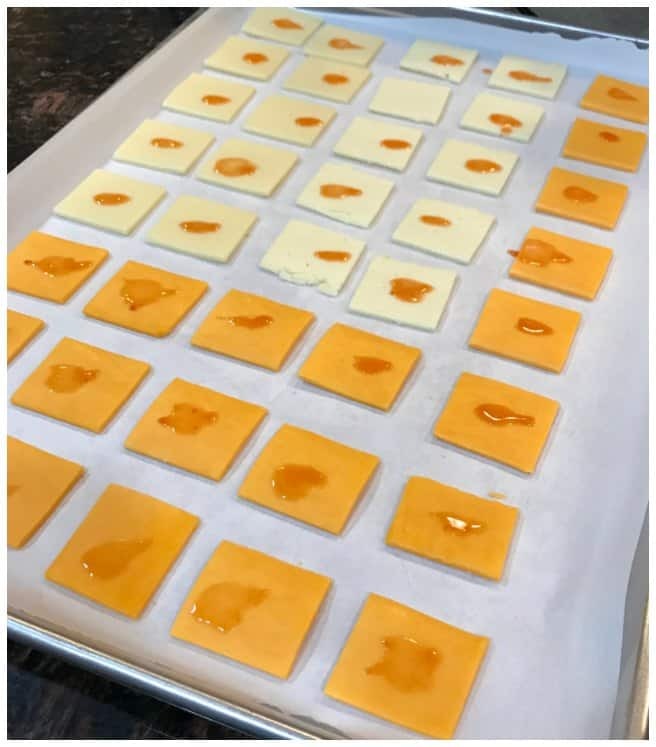 I’ve tried this will all different kinds of cheese and this technique always works! 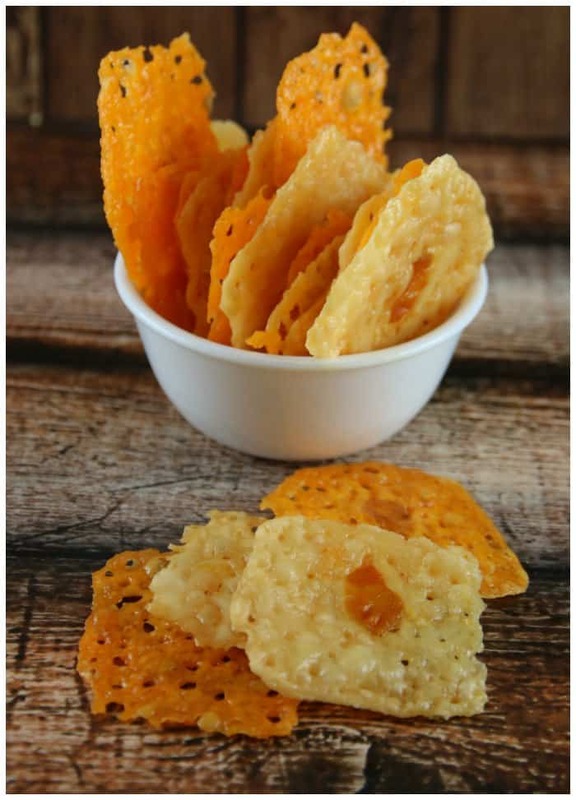 So, for this lazy, I mean easy Keto Chips technique, this is what you need. Place a large piece of parchment paper on a baking sheet. 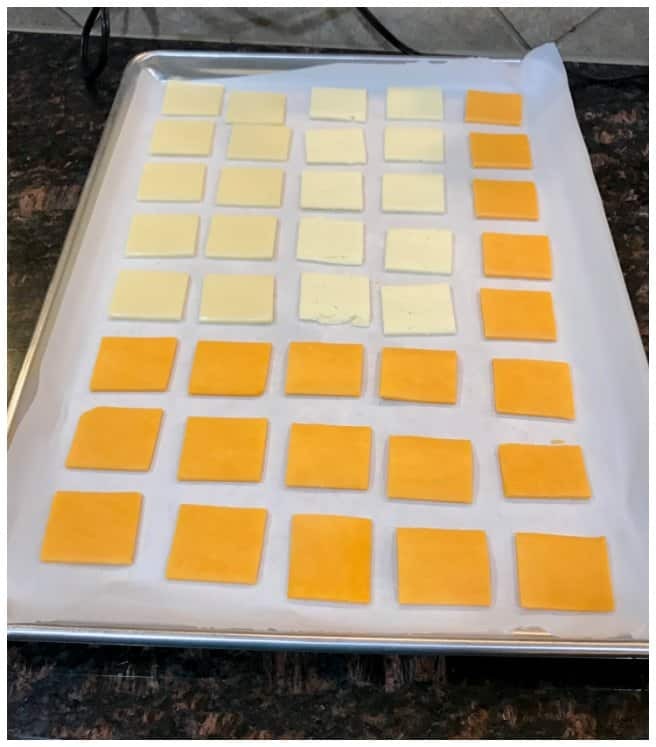 Layout cheese squares on the baking sheet. Allow them to cool a bit before touching them. They will turn crispy once they are cooled off. This last minute lazy idea turned out to be such a big hit that we make them more often now! That can of pumpkin still sits in my pantry. 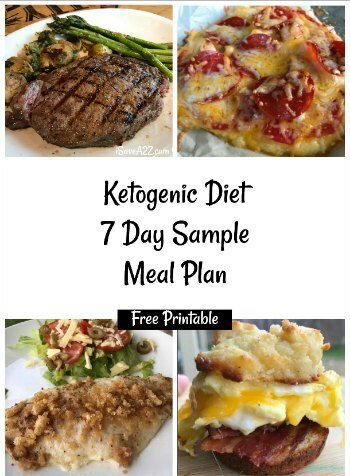 By Jennifer on February 20, 2018 Keto Appetizer Ideas, Keto Friendly Recipes, Low Carb Recipes, Weight Watchers. How thick or thin are the slices? As thin as you can roll them! Made these and they are great. I sprinkled them with sesame seeds and smoked paprika. Delish. How many carbs in each one? How many cheese crackers are a “serving”? Try using pepperjack cheese for even more flavor….yum! 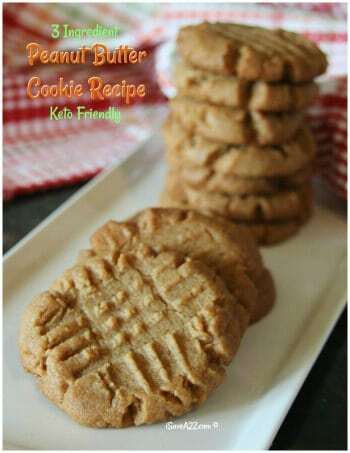 I LOVE these – so easy and good! Thank you! I love quick and easy meal plans. Or should I say lazy meal plans. I hate meals you have to cook and spend time trying to locate the special ingredients. How about cooking with what you have on hand? Would love to hear your ideas? Do you have to refrigerate these after baking? Or can they be stored on the counter? I have left them on the counter for a whole day. After that, I do refrigerate them though. These are seriously addictive! Thanks for the awesome and fabulously easy recipe! 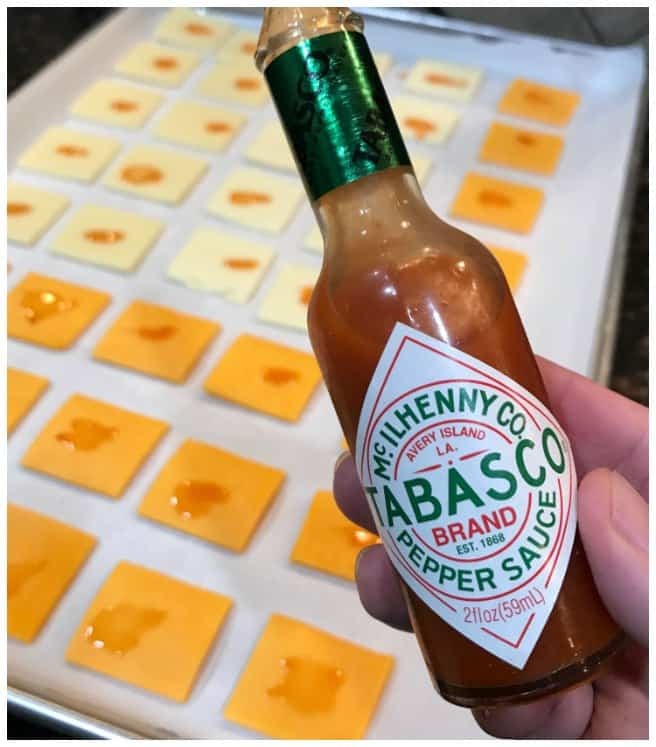 I did not have Tabasco sauce but did have some BBQ sauce I tried on a few (the remainder just left blank) and that worked quite well too. Any thought as to how long the “chips” will last? I’m thinking not long because I’ll eat them – ha! 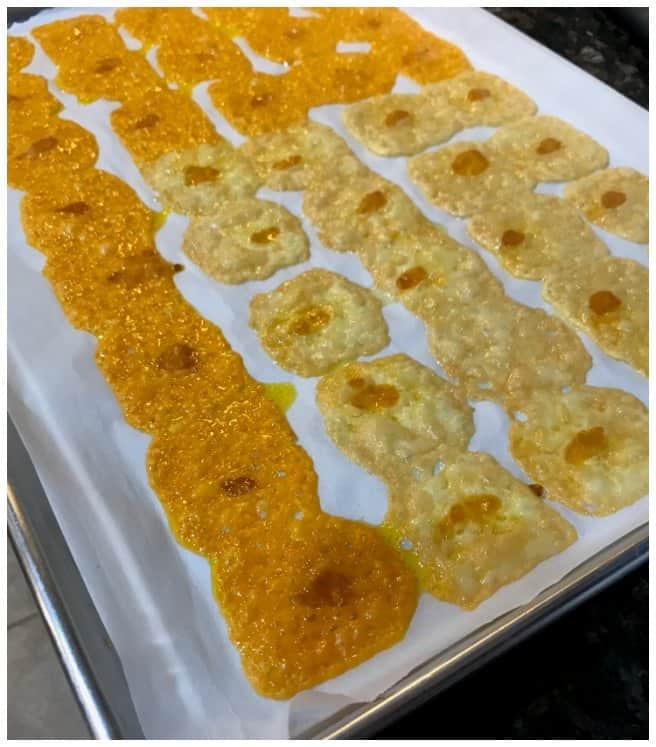 Made your Keto chips last evening and they were very good! Some did melt together but really no problem. Today I used my cast iron frying pan to fry a little larger piece on setting 4 (it took time) and left it in until light brown and DELISH! THANKS! I have a MAJOR issue with this. I can’t stop eating these crackers!!!!! Omg yummy! !